BYU-Idaho Radio released a new interview with James The Mormon today that discusses the artist’s low points and how he almost quit music completely a month ago. In the interview, James The Mormon, whose real name is James Brandt Curran, talks about his struggles with the industry and some of the emotions he’s been going through. 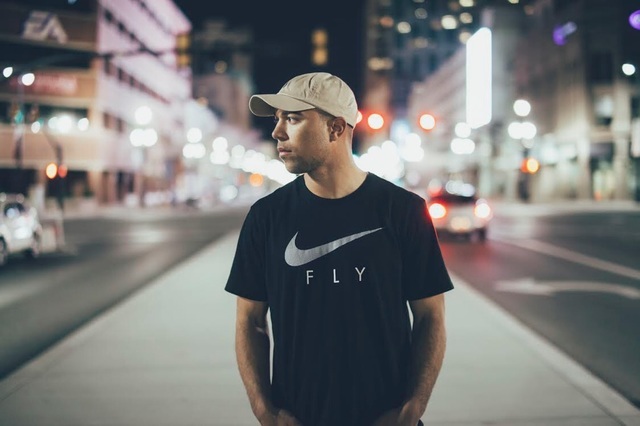 Curran talks about how he started to put music out under the name “James The Mormon” as something of a hobby and never intended for his rap on the sidelines to become a career. His EP soared to the top of the Billboard charts and James The Mormon became known. Curran didn’t intend to become so popular, and when he began to start having people reach out to book him, he would name prices that he thought nobody would be willing to pay and then be shocked when they accepted without hesitation. In fact, Curran has been so intent on not trying to be known as a rapper that more than half of his earnings from his first EP were donated to the LDS church missionary fund. As his popularity continued to grow and the size of the venues he performed at continued to as well, Curran started to reach his breaking point. He told himself that this was never what he wanted or intended, and it wasn’t making him happy. He became so frustrated that he nearly quit the music scene entirely. “To be hones with you, there is nothing more in life that I hate more than being James The Mormon, at this point,” Curran said. The interview reveals the Curran’s plans for the future center around his ability to spread the gospel. As popular as his track “Tellin You Y” is, it’s nothing more than a pump-up song with no deeper meaning to Curran. He wants to create songs that will send a message and do some missionary work, something that isn’t a common priority in the rap world. You can listen to the entire segment here.